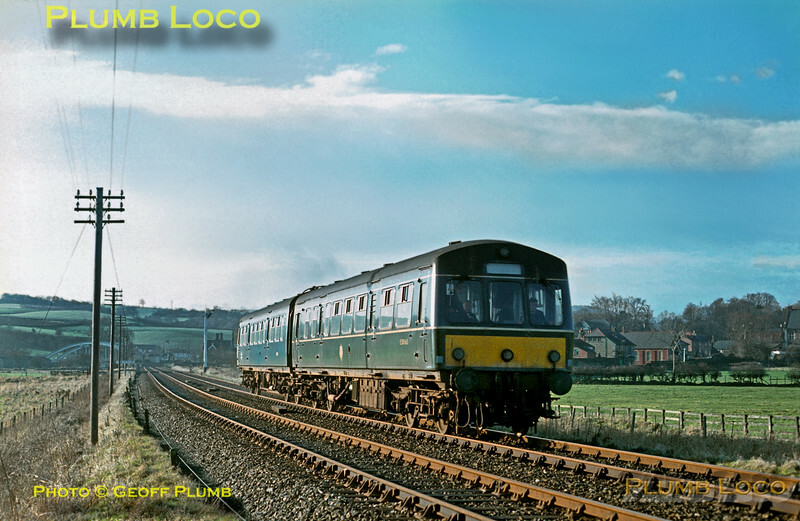 On a gorgeous January morning in 1970, a two-coach Class 101 DMU heads for Whitby between Ruswarp and Larpool viaduct with a working from Middlesbrough. One coach is in all-over BR Blue livery, while the other, No. E50165, retains the previous green livery. Slide No. 4691.